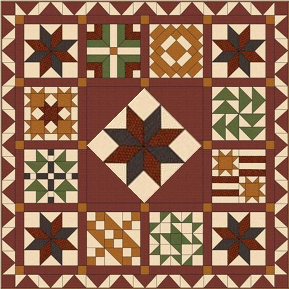 NOTE FROM CAT: Fabric requirements for the "Time Marches On" Quilt are listed below. I have noted the amount of fabric and what color was in my design drawings. Each of them could be an assortment of fabrics in the given color or all one piece of fabric. The amounts are based on 40" width of useable fabric. 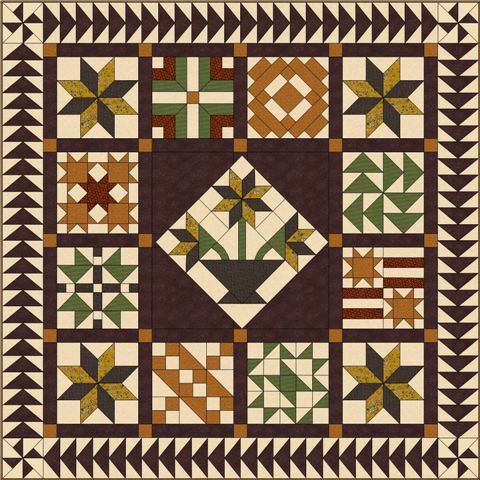 Each of the individual blocks can be made with 1/8 yard scraps of each color needed for the block so it is perfect for utilizing stash. Note: Refer to "Diamond Cutting Instructions" and "Slideshow" at top of page.